What Happens to Donated Footwear? - Planet Aid, Inc.
What Happens to Donated Footwear? Planet Aid receives lots of questions about whether or not we accept shoes. We’d like to set the record straight and let everyone know that, yes, we will help you keep your old sneakers, sandals, and other footwear out of the landfill. 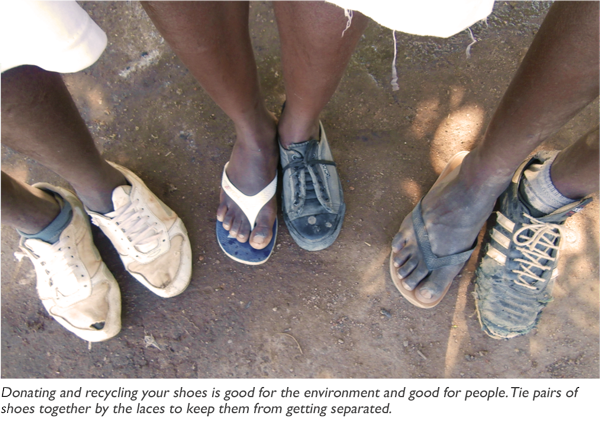 Planet Aid accepts any style of shoe, in any condition. The majority of good-quality secondhand shoes are resold in developing countries where the market demand for them is high. 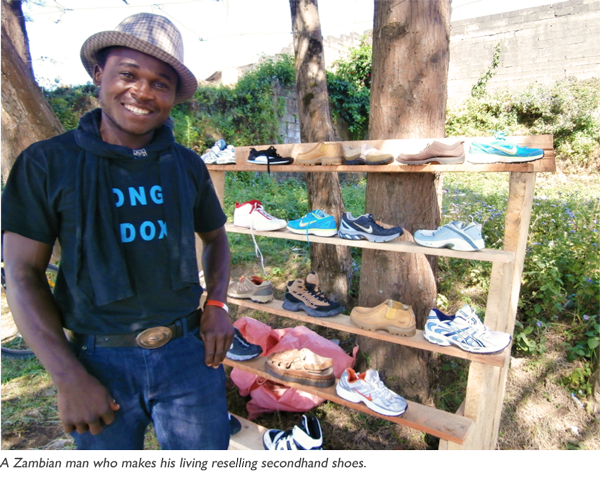 These shoes are affordable for locals and boost income for secondhand shoe vendors and those that repairer them. You might be asking why Planet Aid and other charities don’t just give these shoes away. Dropping off shoes or clothing in a developing country is a temporary fix to a much larger problem, while allowing the clothes to be resold through local markets sustains jobs for textile merchants instead of making them irrelevant. In fact, there are some countries in Africa that have laws against accepting free clothing for this reason. The funds we raise from the sale of donated shoes allow us to invest in projects that help remove families from the cycle of poverty altogether. Access to affordable secondhand shoes helps prevent problems associated with walking in bare feet. An estimated 24 percent of the global population is infected with preventable soil-transmitted infections like hookworm and threadworm, and part of the solution is simply making sure that feet are covered. People without shoes are also more likely to get foot lacerations that can become infected and lead to larger medical problems. Shoelessness has debilitating social affects, as well. Many schools require shoes as part of their uniform, so those who don’t have a pair are effectively prohibited from getting an education. Secondhand shoes are a solution for families who can’t afford the higher prices of locally-made ones. We encourage everyone to drop off their unwanted shoes in our yellow bins, even the pairs that are beat up or out of style. Almost all secondhand items can be used for another purpose, so there’s no reason not to give them a shot at a new life. 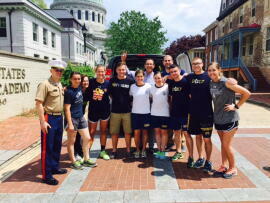 We have partnered with institutions like the Naval Academy to keep its students’ shoes from going in the trash. We also have great individual supporters that have collected shoes in their communities, like Eagle Scout Brydon from Missouri who donated over 300 pairs. We encourage everyone to drop off their unwanted shoes in our yellow bins, even the pairs that are beat up or out of style. Almost all secondhand items can be used for another purpose, so there’s no reason not to give them a shot at a new life.